In embedded / industrial PC hardware, on machines with touch screen only (no keyboard), you often face a requirement to have the Windows standard "On Screen Keyboard" available all the time, both "at winlogon" (when no particular user is logged in) and after logon, i.e. on a particular user's desktop. I have the latest version of XP Tablet edition. The thing is…I never use the software keyboard that pops up on login. I only switch to use my pen when I want to scratch out an idea, or write a journal entry. The only hole we have is: If you press CTRL-ALT DEL on a running system the logon screen appears and you can do many things, even start Explore.exe via TaskManager. To block this we use at XP our own GINA.DLL and filtering CTRL-ALT DEL and doing nothing if our SystemManger set a special Key in Registry. This is no more working in Windows 7. 18/03/2013 · Just go to the start screen, and then to Control Panel. In the search box for Control Panel, type Administrative Tools, or click it if you see it already. 20/01/2010 · Normally I do not use On-Screen Keyboard (Virtual Keyboard). 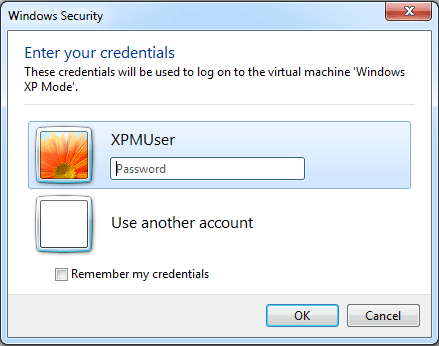 When Login into Windows XP, one of the Key I needed to key-in the password is not working. So, I hope on that time, I need an On-Screen Keyboard to pop up & let me select the key I needed.